Edwin “Ed” Lindsey Jr., “a steadfast champion and leader in protecting Maui’s aina and its important cultural landscapes,” died Wednesday morning at his family residence in Lahaina. He was 70. The Maui County Council honored Lindsey in May with a ceremonial resolution as a “beloved Maui treasure” who served in numerous roles, including kumu, kupuna, uncle, tutu, brother, dad and husband. “He will be missed,” Nishiyama said. Lindsey was a founding member of Hui O Wa’a Kaulua, an organization with activities including the building of a sailing canoe, Mo’olele. He also was president of the Ohana Coalition, organizer of Kilakila O Haleakala, co-founder of the Maui Nui Marine Resources Council, member of Na Kupuna O Maui and a participant in the Kaanapali 2020 planning process. 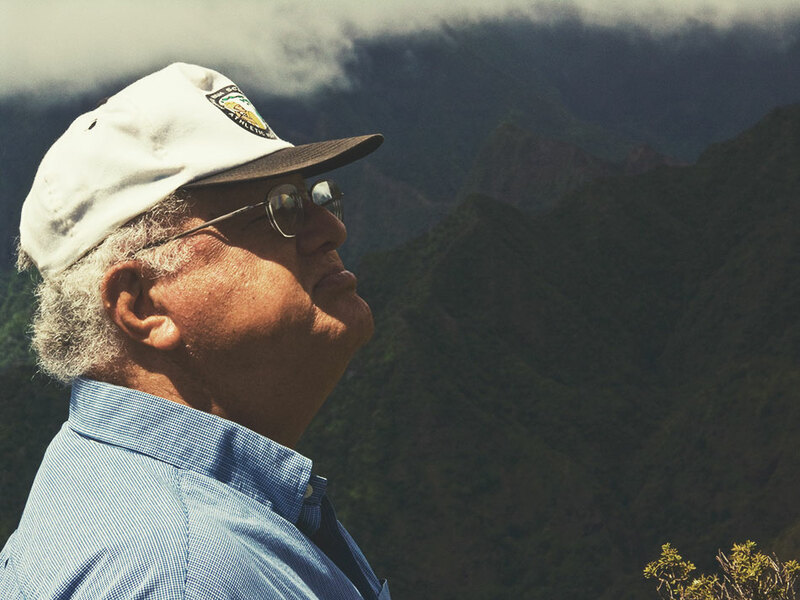 Lindsey spearheaded ongoing native habitat restoration projects such as Malama Honokowai Valley, Malama Ukumehame and Malama Kaheawa-Hanaula. It was through his work with Kaanapali 2020 that Lindsey saw a need to develop a formal mechanism that would perpetuate the protection of important cultural landscapes, and thus Maui Cultural Lands Inc. was founded as a Maui-based, grass-roots land trust organization aimed at stabilizing, protecting and restoring Hawaiian cultural resources. The County Council resolution said Lindsey’s legacy grows in his teachings to the young and old, residents and visitors, about the Hawaiian language, culture and flora and fauna. De Naie said she considered him a family friend and visited him several times during the last few months, including the night before he died. She said that two weeks ago, she jotted down notes from a conversation she had with him about the restoration of Honokowai Valley. She said the Honokowai Valley restoration project is one of the best in the state. “It really gave people a chance to have an authentic experience of Hawaii,” she said. While many know Lindsey for his environmental causes and his expertise in Hawaiiana, de Naie said he also had a passion for affordable housing and social justice for local residents. “He was ever the caring person,” de Naie said. Randy Awo, chief of enforcement in Maui County for the state Department of Land and Natural Resources, said he knew Lindsey for years through his professional endeavors. But, “I came to know him on a personal level, as well,” Awo said, learning from Lindsey about love for the land and growing to appreciate his and other Native Hawaiians’ perspective. Maui County Council Member Jo Anne Johnson said she visited with Lindsey this past weekend and sang songs with him and to him along with other friends. “It meant a lot to me to be with him and his family,” she said. Johnson said she attended Waiola Church, the same place of worship for the Lindsey family. Lindsey, who was born in 1939, was a boarding student at Kamehameha Schools on Oahu, and after graduation he enlisted in the U.S. Air Force, according to the County Council resolution. He pursued studies at Maunaolu Junior College where in 1961 he met and fell in love with his wife of 45 years, Puanani Doong Lindsey. The couple had three children. Lindsey began his career as a teacher in Hana and after four years, transferred to Iao Intermediate School in Wailuku, where he specialized in teaching Hawaiian and social studies. He retired from teaching after 25 years of service. The Sierra Club presented Lindsey with its Malama Ka Aina Award in 2006. In April, he was honored with the Malama I Ke Kai Kupuna Award at the More Fish in the Sea ocean-awareness fair. Mayor Charmaine Tavares offered her condolences to the Lindsey family. * Claudine San Nicolas can be reached at claudine@mauinews.com.